Pomona Railway Station Gallery is holding their ninth Art Market in the Paddock on Saturday 27 April from 9am till 1pm. This event is in cooperation with the Pomona Music Festival being held Friday through Sunday of that weekend. 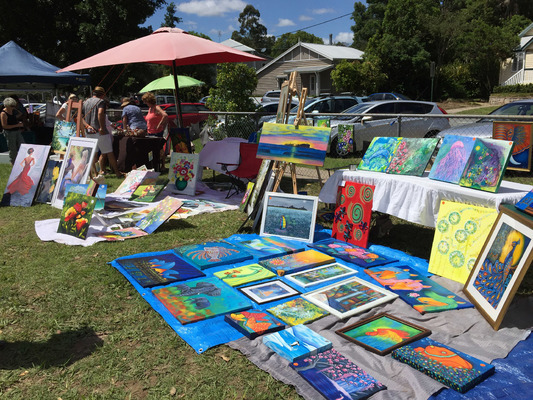 The Art Market in the Paddock is in the Gallery grounds located at 10 Station Street Pomona and only a short stroll from the regular markets also held on Saturday. While the town will be alive with music from various buskers, music by ‘Flashjack’ will add to the relaxed country atmosphere of the market. 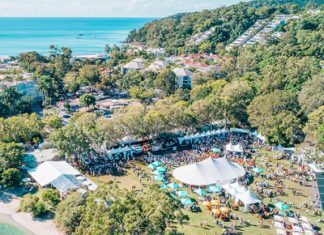 This is a great opportunity to meet the artists and discover local handmade products from artisans located around Noosa hinterland and coast.